Social media is very powerful tool in the society and you cannot ignore social media and claim to be doing well in business. Business is about people and people are connected and linked in the social media world. Unlike the other centuries where it took almost a year to reach a small province, today you can reach the entire globe just with a click of a button in your smartphone. The society and the world has become small and smaller and this means that the needs of the people are growing. People know what they want and what it will cost them in the current market. Competition has become very still and the weak have been thrown out of the business arena. To survive you need a strategy and the best strategy is to adopt social media. The competition is from very end from the technology change to the social media change. Currently, we have a number of social media and each one of them is appealing and has its own advantages for both the individuals and the businesses. 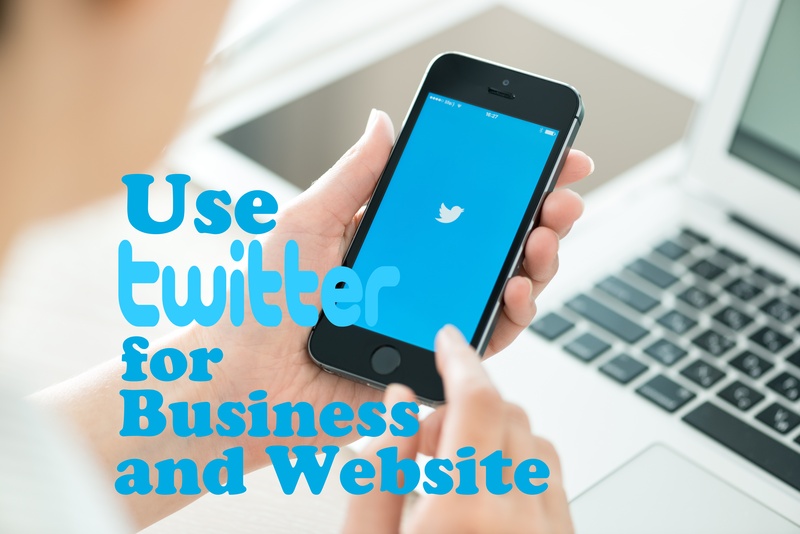 This article discusses how business can use twitter properly for business and website. Currently, twitter is the most powerful tool in the social media and everyday organizations, people and corporations tweet to their followers. People tweet about every imaginable subjects that affect them as society and business. It can be informative content, marketing or just entertainment contents. If you have a business and you want to be known or your presence in the business world to be felt make sure that you are tweeting. Most of today businesses are not using the traditional marketing methods anymore; they are using the social media to reach their clients easily and with minimum costs. The traditional methods like the television, radio, newspapers and posters are now slow to reach people. The generation that, we are in prefers the digital contents. With the affordability of the Smartphone’s and tablets, you do not need to be in a cybercafé to see your mail or download some materials. With mobile phone technology, the young people can read email, watch a movie, reply to tweets, or even update their blogs while on transit or while running other important errands. These generations do not have time to read any print media and they refer to the print media as “analogue” they can get virtually everything they need using their mobile phones. So, if your business is still relying on the print media you will not only incur costs but you will reach only a few people and may be only the old ones. Nowadays when someone wants to buy something and he/she is not sure he will just browse for the product and look the reviews and testimonies from the consumers of the product or service. The funny things are that you may not be in the social but your products may be the talk in the forums or the reviews especially when the product is either good or bad. So you need to be there to manage the harm or good that may cause to your products and services. Nowadays instead of marketing your products in the traditional way all you need is to create a forum that will draw people into your business. This strategy is referred to as the inbound marketing. This is offering to the consumer’s useful information, the tools and resources to attract people. Inbound marketing is about blogging, publishing, search engines optimization and the social media networks. This is why you need social media and twitter specifically for its power to attract and reach the masses. Twitter use is also a way of micro-blogging which means that the short updates up to 140 characters or less. The limit of characters was initially to make twitter suitable for the mobile phones usage and also to be able to receive rapid and clear information’s and also to share the same information with many people. Handle: this is also known as the user name, this name that you select represents you as the user and people will get to recognize you by it. http://twitter.com/USERNAME, when you insert the person username into the URL such as the http://twitter.com/ashishinsan when you follow the person your twitter page what they update will be shown in your twitter page. To follow back: this is when you follow someone who has just recently started following you this is because when someone follows you on twitter you get an email alert that someone is following you. When you click the link you can know who he/she is and check them you can decide to follow the back. Follower: this is someone who has subscribed to receive your updates and you can see the number of followers in your profile page. Update: this is what you write on your profile and it cannot be more than 140 characters. Direct messages or DM: these are private message sent from one user to another user by licking message on their profile and typing D USERNAME. Twitter stream: this is a list of someone updates which are usually in the profile which is a combination of previous messages twitted by the individual. Retweet (or RT): THIS IS WHEN A user repeats what another user had said before or when someone sees something interesting and wants his network of people to see you can retweet the same issue to other networks of persons. Twitter is one of the best networking tools that someone can have. If you have someone who is creative and knows what the users want in a specific time the business that you are undertaking will grow tremendously. Twitter can be used to develop and promote brands: when you have just started a new product do not wait until it reaches the customers to start promoting it. Promote the products as early as possible and by linking your business twitter handle to that of your business you will have solved two problems at ago. Extensively and comprehensive promote the product using all types of social media as well. Always interact with your customers: with innovation and globalization, the customers need one-on-one services that are customized and suitable. Whenever there are any questionnaires respond to them swiftly and with care. Ensure that the products you are offering have the detailed description for the customers to feel safe and secure. Track the responses from people on your brands: people will always talk good and bad and with social media coverage, this might be damaged. There is the need for you to always keep records and documentation of the problems encountered by the people who are buying your products and thus keep you in business. Responses will allow you to develop solutions and also market your products where they are needed and how to market more money in the season. Market your events especially new ones: this can be done through creating a buzz about it. Number are safe and when people hear that there is an upcoming even most of them would like to see who is coming and what are the likely benefit to the community as well to the individuals persons. it creates a link between employees and the public; through twitter employees can interact with member of the community and solve their issues. Initially, the community was sensitized as a community, however, today the community learns and gets communications from the social media which is free and easy to use. Social media like twitter have a forum that can be seen globally. Have a good relationship between the bloggers and even journalists to will be of great importance. There is need to decide if you want a business or personal account. Business can have both but the two serve different purposes. Business twitter account should represent your business as a whole. And can be used for following purposes; to ensure that your customers know and understand the upcoming event that might be of benefit to them. To promote recent events; when you start something new there is need to have a way to advertise it. Twitter will really help you to reach many people. Twitter is free and less taxing therefore, there is a need to keep your fans happy. Keep the consumers updates on the new events and may not be photocopied. Personal account: used by the individual employees or the companies to communicate the things that is not business related. This personal profile will link your business to the rest of the world. Globalization allows people to take easily and twitter specifically allows room for tidbits about your personality. The twitter personal profile helps you to expand the business networks. When you are signing up when you click this button you will have a place that you will select your user name. For a business a username is very important and crucial. Remember that this is like a business’s logo that people will know you through the business username. Therefore, there is Therefore, there is need for someone to take tome consider, research and design the nest username that shades light about the business. The username is like a brand that you will be selling and the best way to overcome this is through either an expert or just friends. Chose a twitter handle: that is very close to your names and if you want to use your business combine the two most of the time. When you use your names in the twitter handle makes you look realistic and genuine. When someone new comes across your twitter handle and decides to send me some letter. After choosing the twitter handle click on “create my account” do not use the underscore to create your handle name and makes the user look like not serious. After creating your handle names and creating submit it means that your handle name for the business has been created. Just like an email creating the business handle of each company should seek to ensure that the handle names is close enough to businesses name to the names of the products or services that you offer. After creating an account and you have an existing account you have an option of checking if the people you know are already on twitter. This will enable you follow the people you know or others businesses that are already using the twitter handle. After creating an account it does not mean that you have finished. There are still many details that you need to provide to make your profile as good as possible. After creating the profile you are advised to create or personalize the account before you start to engage anyone. When you do not personalize your account it is most likely that no one will follow you since you could be a scammer and not a real person and thus people will tend to keep away from you. When you click “edit your profile“you will get the following page. The first thing that you will need in your profile is the business or your names. Ensure that you are using real names and not the nicknames or abbreviations and numbers. This might make you look like someone in the traditional chat-rooms that people did not use their real names but names and numbers to conceal their personality. The recent things that you have achieve that you feel is important to be told to the public. The last part of the setting is the privacy setting where you can protect your tweets and no one can see your tweets without following you. This is not a good option for a business page, there is no need of you protecting your tweets yet is a business profile. Ensure that you get as many people as possible to see your tweets therefore you should not click protect my tweets button. After the business profile has been set the next thing you need is the profile picture or “avatar” it is important that you use the business logo or your picture. Ensure that if it is a picture let it be a high quality picture that makes sense and related to your business. Every company have their colors and colors distinguish you from the others. More people have the ability to relate colours with their favorite companies or corporations. Make your colors speak for you and attract followers and customers. After the business profile creation and the designs and logos have been added. The next step is for you to start tweeting about your business. Business tweets need to be precise and not shallow tweets that people would not like, remember that your first tweet will determine a lot and therefore, ensure that it is something that will catch the eye of the followers. What you have observed– this is mainly related to what you are doing or what you are feeling as a business person. Make it as creative as possible and entertaining to the public. You can pass your business information through entertaining tweets since people would click your website link and in the process put you in the map. While undertaking our daily activities we come across events that are very eventful and through sharing this events or pictures of these events it may get the attention of the followers. 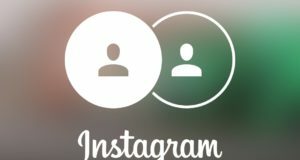 During the process of seeing the even the follower will share with others and because it originated from your business profile it will always lead them back to you. What you are reading– you are also able to post something that is interesting to you it can be an article or a video that you believe will entertain the followers and ensure that they are following you. In twitter 99% of the tweets are about entertainment and the rest is marketing, so there is need to ensure that you are using a good strategy to market while entertaining your followers. What you are watching- you can also post interesting videos in your profile so that followers can as well share the video, when you come across any interesting vide you can share it with the followers so that they get the entertainment and the message that you want to pass. In most cases there are humorous video that carry very powerful message related to business, nowadays people are not advertising their products using images only but a video with a catchy title and even entertaining characters. This will pass the needed information without showing to the followers that you are marketing any products or services. The event that are coming or going on– you can share links of the events that are coming up in your business, this will attract followers who love your products for example if it is an electronic company you can share the coming products and details to create awareness in the market. Promote your contents- you can as a business share the link that will lead to your company recent product to attract the consumers. 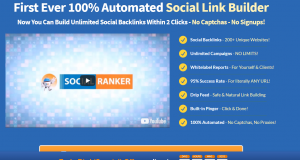 You can also promote your content by also using other social media like Facebook and Instagram, when you share the link you can use the already followers in the social media to get to follow you in twitter as well this is a great way of increasing the number of followers that you have without any problem or without using more time and resources. Promote someone else content– social media is about sharing and when you share someone else content they will share your and therefore widening your followers and even creating new followers. When you only share your content chances are very high that you may not reach the required number of people, networking is important and when you share someone else content they will as well share yours in another even. This shows that you are not only thinking about yourself but about other people as well. Chat with other business– using the @ will ensure that you are communicating to someone. Keeping network with other businesses is a way of creating a virtual bond with you, they will also ensure that you are sharing ideas and content that may help you in a way. Through the chats your consumers may exchange ideas about the products. When two companies followed each other they increase their virtual connectivity and viewership in the market. Retweet what others have said- this is usually a good way to share contents from someone especially the leader in the business or in your field of business. Following the best in the market is good because chances are high that you may as well get recognized and increase your viewership as a business. Building your network is very challenging and it may take your time and years to achieve number of followers that you want. Expanding your network is not instant job and you may need time and research to use twitter effectively to work for your business. Start simply by following the others and preferably the best in the market and get to learn from them what they are doing and what they are posting. This way you will get to learn from them what is needed and what you should post on social media. Twitter grader– this is a free resource that you can use to discover the “twitter elites” you can start with your city and look for people with interesting information or profiles. It is easy to look for people in a specific industry and therefore, your group is easy to follow and get using this resource by HubSpot. Following people that your followers follow– when you get updates from what people are tweeting decide to follow people who are fan to follow or those with informative and entertaining content. Do not follow too many people at a go– when you follow more people at the same time it will not be good since there will be a difference between the people you are following and those following you back. Ensure that you follow not more than 50 people in a day. If you have like 3000 people that you are following and only 1000 followed you back it means that about 2000 did not follow you back. So wait and give the people time to follow you back, it will look like you are only following people and no one likes your tweets enough to follow you. In business you should have more followers than those that you are following. This will show that you are an authority in the market. Follow a number of people and remove those who do not follow you back– ensure that you are following only people who are following you and you are constantly adding more followers. Remove people that you have followed for long and are not following you back. In business there should be a symbiotic relationship where both the parties benefit. Following people might seem like a great idea and a way of receiving updates. However, you need people to follow you back so that you can as well have a two-way communication for exchange and sharing of ideas. In business, you need the customer’s views and reviews of the products that you are offering. There are many ways to get people to follow you and this section presents some of them. Make the tweets useful to the people who will need it; what you tweet defines you as a person, ensure that you tweet valuable content that will attract people to follow you. Do not make your tweeter account a promotional tool people will not follow you, tweeter is meant for entertaining and attracting people and in the process they will link back to your business and get to see what you are offering. They will unconsciously view your profile and thus do not make it obvious that you are promoting any product. Interact with people: ensure that you are monitoring your twitter stream and comment on what people are saying. Remaining inactive for long is not good for followers, you can comment on what they are saying, tweet, retweet and post so that you can keep your followers engaged. Engaging people will ensure that your followers grow and the followers are telling others about you or retweeting what you posted. Using twitter to drive people to your business website-tweet about something interesting that people have said about your company. It can be something that the media said or leaders said about your business. It can as well be about articles or products that have been mentioned by someone notable like when your business is ranked as the best. You will provide a link that people can view this article or view the interview with media about your company, this way you will promote your business website reach. When people find something interesting in the website you do not need to tweet they will personally tweet about what they like and how they perceive the products. Use the twitter favorites: in the left side of your twitter stream there is a star. When you click the star that tweet will be added to your account. This will be able to track whenever people say something good about your company. Promote the events using twitter– The great way to know your community and people around is to tweet, when your company has a great even that is being held ensure that you tweet about the event. People will tweet and retweet about the event and at the end the people will know about it and attend for them to be able to market in their chain of networks. Watch tweets for any editorial opportunities– tweeter is a great place to find opportunities for example someone might be looking for additional resources that you might provide. 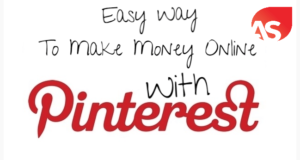 Thus keeping in touch and reading the tweets may get you an opportunity that you as well get a lot of income. Especially on the reporters who are looking for stories online and even if it is in regard to another company you may use the information to gain something more valuable or an opportunity. Use of twitter for direct messages- twitter is a great way of sending direct messages instead of an email. It helps you to write messages that are precise and direct to follow. This will make it easy for you to follow the person or communicate in a way that is understood. You should always respond to tweets about your company products- people are talking about you business and therefore you need to respond to every concern raised by the customers. The traditional way of leaving concerns in the suggestion books or filling a questionnaire is time-consuming and hectic. Nowadays the concerns of the people are posted on open forum. Unlike before when people or companies were using the suggestion box that were private and not known to others, today business have to be vigilant and always watch when they are on the wrong side. One mistake by the company may cost the company the entire market coverage. When someone tweets about poor service others may retweet the same and the tweet at the end of the day may reach the entire country if not globally. The social media as said before may create or destroy companies. You are advised as a business to always monitor your customer’s complaints and compliments. Use twitter to inform your customers about interruption of services provided- if you are online company providing services to online customers or your consumers might be affected by any upgrading that is going on in your infrastructure you need to ensure that the information is passed. Social media will ensure that all the consumers get the information and prepare for the glitch. Do not just stop your services without giving any warning it may get you sued and end up in loses up to millions of shillings. To be on safe side tweet about the anticipated glitch. Follow everyone who follows you- although following everyone who follows you is not recommended it is good to identify the people or companies that you need to follow because of their affiliations and the content that they are providing. Ensure that this people are people who command a huge number of followers in the market. Create a way of ensuring that your follower’s feel that the company is in touch with them and not that they are just following you. Twitter grade; this is the total or overall effectiveness of you twitter account, this is achieved through establishing the number of your twitter followers ad the influence of the followers that are following them. This shows that the account has a higher chain link or network of influential personalities who can reach the masses easily. Sales funnel– this are the number of people who visit your company and make the actual buying of the products. The number of people who buy the product are the customers and when a lot of people are visiting the websites of the company without making any actual buy it implies that the customers are not many. We live in a virtual society where the only constant thing is change, as they say change is inevitable thing in this world. Small businesses are starting everyday and when they are starting they do not have enough capital to start and market the products. Unlike the years when you need millions to be allocated for the marketing purposes today what you need is a twitter account and followers. This come free of charge, although the small business are struggling to meet the needs of a business the corporations have mastered the art of survival they do not only have social media accounts but they have accounts that are managed professionally and are always active in social media. In most cases people may disagree when they are told that they need social media, this is because they believe that social media is just for entertaining and keeping in touch with family and friends. Although to some exist these is may be true, it is also very true to say that social media is a business tool that cannot be ignored. Small businesses are not growing into corporations because they are “thinking small” thinking small in this case is not thinking of increasing your business coverage. The business may have started small but you should have plans and goals to ensure that you are not in the same position that the business was the previous years. In this planning and goals marketing setting the business the social media is the only viable and cheap way to market the goods and services. The small businesses need a social media site and twitter is the best way to market their products with no extra costs. There are small businesses that are offering very unique and crucial services that customers are looking for but because they have no means of marketing them they are not making the sales to sustain their business or even grow. The only way for the business to survive is finding a way of gaining a competitive advantage over the other small scale businesses. Innovation and creativity can be achieved through technology and by having social media account you get to learn new ways of doing things and getting a competitive advantage.